Indeed, Gran's "Circle of Friends" got together after her death to create a book of essays by each of them to commemorate Madeleine and the gifts she had given them. So who were these friends of Gran's, who I now hope to form my own friendship with? Pamela Leggett met my grandmother almost twenty years ago and began going to her writer's workshops. Pam and I got to know each other a bit when I was coordinating care and events for Gran towards the end of her life, before she went to the nursing home. Pam would take Gran to a Sunday evening vespers service at the convent, then when that became too difficult with the wheelchair, at the Cathedral of St. John the Divine. Afterward, they would go to Meridiana for dinner, an Italian restaurant across the street from her apartment building. Gran so looked forward to these outings, and I in turn was grateful for Pam in making this happen. Sometimes another friend, historical fiction writer Stephanie Cowell would come along on these outings. (Stephanie has just published her fifth book, Claude and Camille about the life of Monet which I can't wait to read!) My grandmother, I learned, was responsible for Stephanie meeting her husband Russell, and indeed gave her away when she got married. I met Pam at the Cathedral a little bit early for the vespers service at 4PM. Pam was already there when I arrived, a little dewy-eyed, sitting in the very same spot she had shared with my grandmother five and more years ago. The service was beautiful, and I was so tempted to lean into Pam and put my head on her shoulder as I used to do with my Gran. The Cathedral was filled with her presence. Now, many of you know that I have been a tour guide at the cathedral for school groups, so I was unprepared for this onslaught of feeling. But Pam was feeling it too; it was something that we share, a deep and abiding love for an incredible woman who lives on in us. We were meeting Stephanie at Meridiana's, and as Pam and I left the Cathedral, weaving our way through a block party to the restaurant, she told me about her teaching Madeleine L'Engle style workshops at her church in Montclair New Jersey. 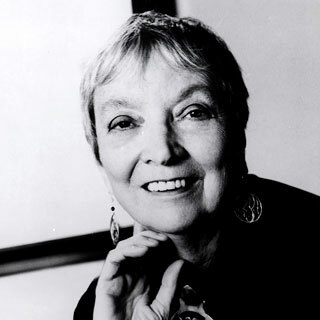 I'm a little jealous, I must admit, having never been to a Madeleine L'Engle workshop myself! Stephanie was sitting al fresco at Meridiana, looking radiant with her shoulder length white hair. I have never seen her look so beautiful. "Success in the publishing world agrees with you!" I remarked. We ordered "Madeleine" fare in tribute. My grandmother always ordered a spring salad with goat cheese and spaghetti carbonara, so we did the same. And we talked about Gran, but mostly about ourselves, forging our own new friendships. I always want to know people's love stories, and their stories did not disappoint! Thank you Pam and Stephanie, for a wonderful evening, and for including me in this circle of friends. It is my deepest wish that I be able to expand my own circle of friendship in much the same way. This is a beautiful post! Your grandmother would be proud. I am honored to know and work with Stephanie, and I hope she considers me a friend too as I consider her one. Best of luck with your new work! What an absolutely lovely evening you describe. I was born and raised in New York City and although now live in Washington, DC, I return very often because I miss it so. A circle of friends is a wonderful band to have. Thank you for this post; really enjoyed it. Thank you so much for reading Marisa! My goodness, you actually said I looked beautiful! Blush. Thanks for writing and meeting. This weekend was a Madeleine weekend. At a local children's bookstore I found a new edition of Camilla and got goose bumps looking at the cover. (The girl in the snow reminded me of the first time Camilla met Mac in A Live Coal in the Sea.) At the register the lovely bookseller and I started a conversation about Madeleine, and I mentioned Edges will be out December 7. She is excited about your book! Stephanie - you ARE! And Kristi - what a wonderful, supportive "circle" friend I have in you! The jurny of Madeleine life was very inspired form the youngsters of new generation.The all can now about the honest friends and about the circle of the good friends. This story is help for for those who want to write about something informative to pay someone to write my essay to give new stories to the people. It is an interesting story about the life jury with friends.